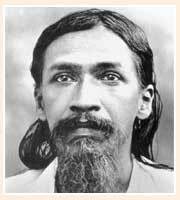 Aurobindo Ghose, an Indian nationalist, poet, mystic, and yogi was a born on August 15th 1872. Subsequent to his short-lived political career he inclined towards the exploration of the spiritual spheres of human existence and, as an end result, created a new path termed as ‘Integral Yoga’ (Internal Yoga). The chief writings of Sri Aurobindo Ghose encompass, his epic poem Savitri, as well as the Collection of his Poems. In the domain of prose Ghose has several celebrated book inclusive of Synthesis of Yoga, The Life Divine, Secret of Veda, The Human Cycle, Essays on the Gita, The Ideal of Human Unity, Renaissance in India and other essays, The Future Poetry, Supramental Manifestation upon Earth, Thoughts and Aphorisms, apart from his volumes of letters.